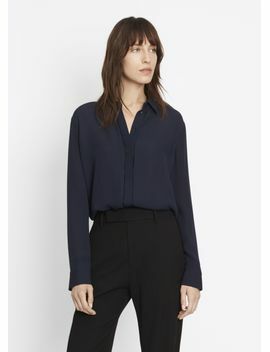 Collared silk shirt with subtle inverted pleat detailing around the concealed button placket. Model wears a size 2. Model’s height is 5’10", bust 34", waist 24", hips 33". Due to Customs regulations, this item is not eligible for international shipping.